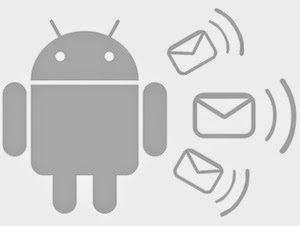 When it comes to Android, there is never a dearth of messaging apps. From WhatsApp to Line, you can switch to pretty much any messaging service, whenever you want. However, if you are running a company, there are many factors involved before you add a messaging app in the mix. The same solutions that teenagers use to keep up with their buddies won't work amongst your employees. Can be quite frustrating, don't you think? Don't worry, the following article will help you pick from some of the best instant messaging solutions that you can incorporate in your company. That too, without having to ditch the Android platform. If you are a company that works with a lot of cloud-based files, then Hall is a perfect solution for you. Not only does Hall let you message your co-workers, it can also help you connect to your clients, vendors, and distributors. What makes Hall different from other apps is that it integrates with variety of other services, most notably Dropbox and Box. This means that you can take any file from your Dropbox account and share it with someone who needs to see it. Among other integrations, Hall also works with Asana, Trello, Github, Heroku, Jenkins, New Relic, Pivotal Tracker, UserVoice and Zendesk, thus making it a perfect choice for small startups. Hall also works on desktop so that keeping up with your messages from multiple computers becomes quite easy. Cotap is another great business messaging solution that gets rid of the main problem many of these apps face and that is of "friending" the other person first. 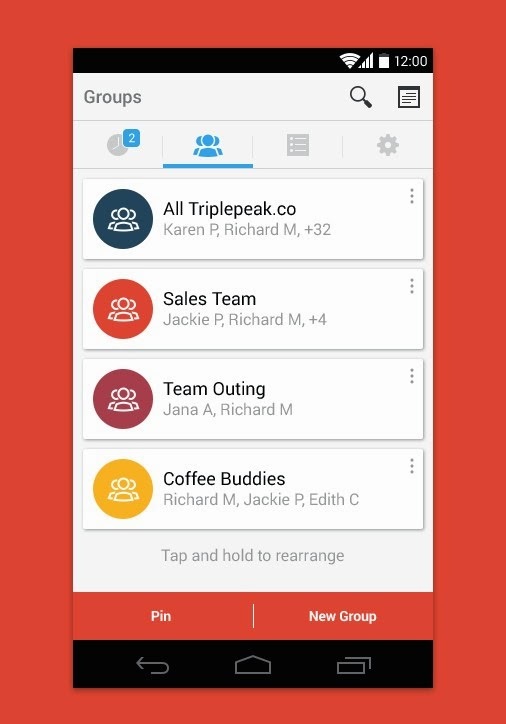 Instead of going through the process of adding people you already know as a "friend," Cotap lets you connect with people in your company by simply typing in their name. This is accomplished by sharing a common address book among the employees of the company. This means that you can contact "Bob" or "Jane" without needing their permission to do so. Yammer is a social enterprise network that is aimed at making company communications more productive. 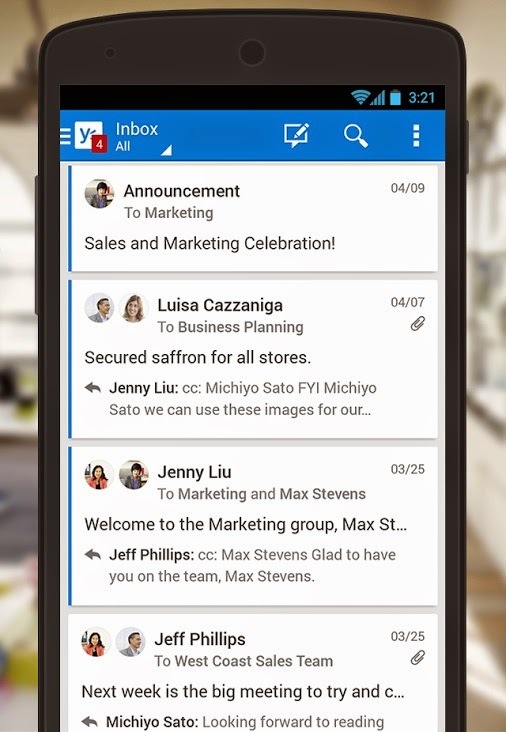 Yammer gives you your own inbox wherein you can see the latest happenings in your groups and keep up with your coworkers. Moreover, Yammer also lets you share photos with your colleagues and groups making it easier for you to work on detailed projects. Push notifications, on the other hand, make sure you are always abreast of what's happening in your group. HipChat is a hosted messaging solution for teams, groups, and companies. While not solely aimed at enterprises, HipChat can be a wonderful solution if you are working with multiple teams in the same company. What this app does is that it allows you to create persistent chat rooms along with 1-on-1 chats. 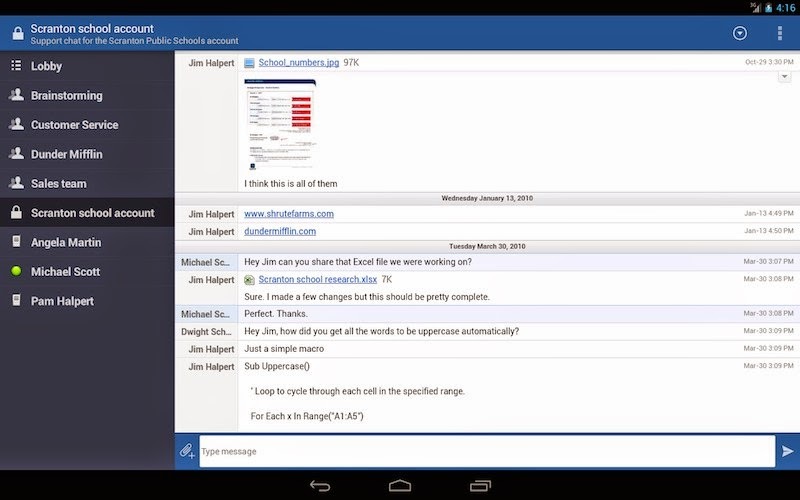 You can stay in touch with your schoolteacher or your boss, all within the same window. What's great about HipChat is that it lets you preview PDFs and photos in the messaging window itself. 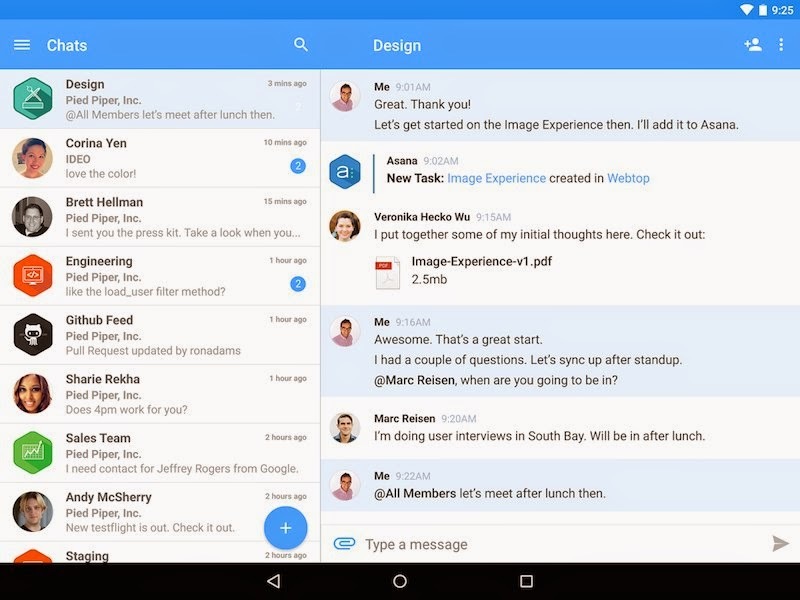 HipChat works across Windows, Mac, iOS, and even Linux. The most attractive part is its pricing. That is, the app is free for unlimited amount of users. Of course, if you want to add more features like 1-on-1 video calling you will have to pay for it. This app aims to be a one-stop solution to all your messaging needs be it personal or enterprise. The apps syncs across multiple devices and provides push notifications so that you are always aware of what's happening no matter where you are and no matter what device you are using. What's fascinating about Intelli Im is that it does a lot compared to other apps. 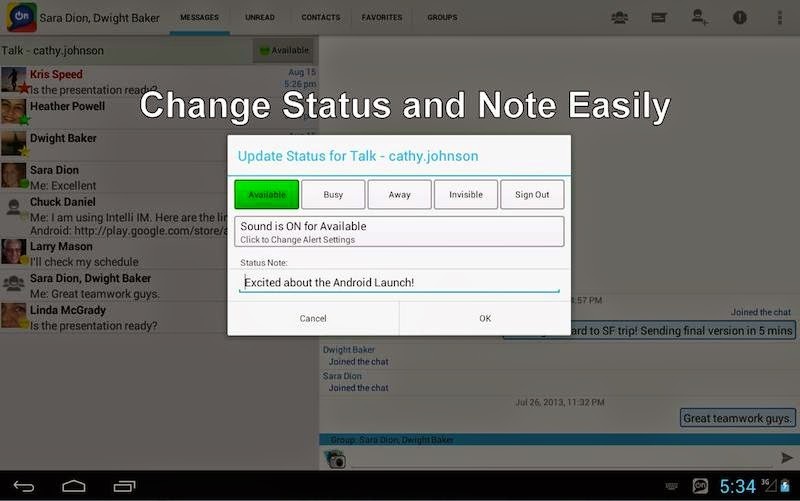 It does GTalk, Lync, and even Google Talk business without you having to switch to another application. If you are looking for an app that does a little more than you expected it to do, this is a perfect solution for you.